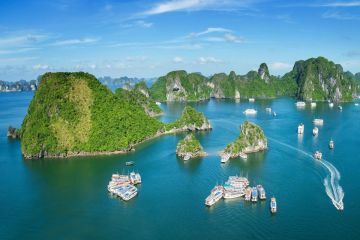 Halong, the world natural heritage honored by UNESCO, is very well- known for its outstanding uninhabited island complex. It also attracts tourists with many delicious dishes made from natural and fresh ingredients. 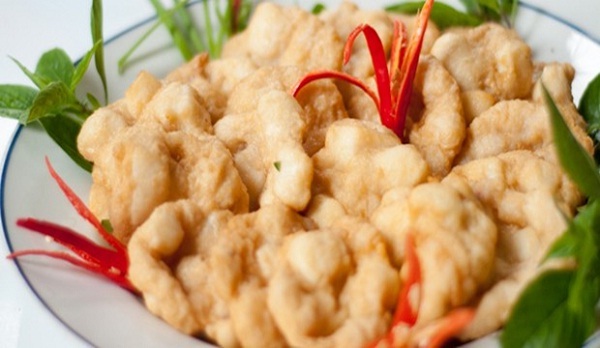 Let’s see the list of 5 dishes in Halong that will make tourist fall in love at the very first try. Gat Gu cake is made from rice powder water. This rice water is spread thinly, steamed and rolled to make a perfect cake. 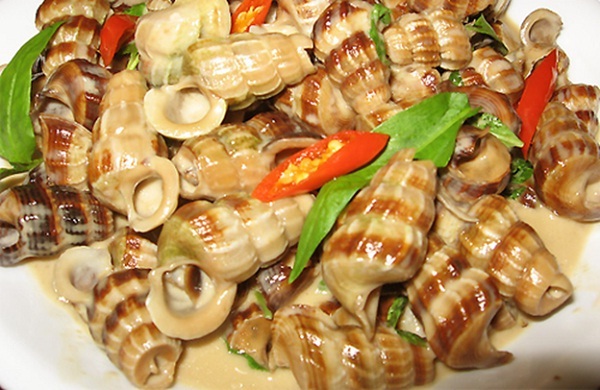 It is eaten with a special sauce and a bite of Khau Nhuc (stewed meat). The cake has a soft taste and the meat is sweet, buttery and smelling very good which will please anyone even the most fastidious tourists. 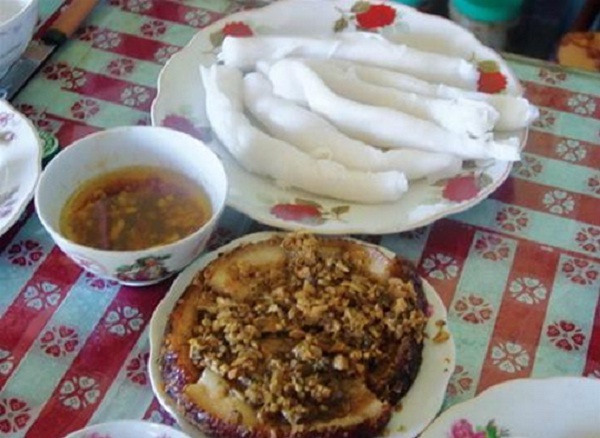 This dish can be found in many restaurants, especially in Tien Yen town which is not so far from Halong. This wine is made by soaking bulbs of Ba Kich which is widely grown in areas around Halong. There are two kinds of Ba Kich wine: white and purple which depends on the wine’s color. Ba Kich wine is quite easy to drink with good and comfortable smell. 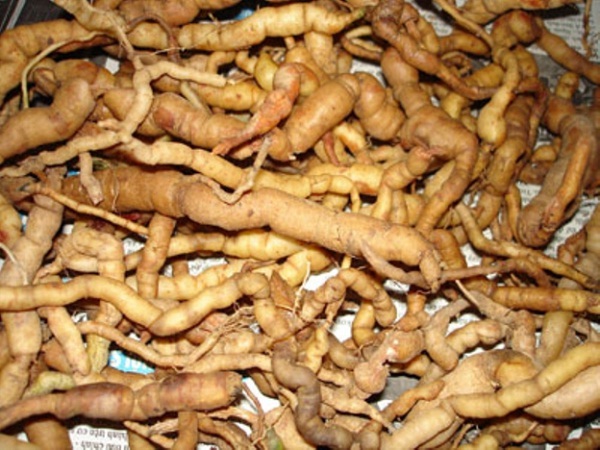 Moreover, drinking a moderate amount of Ba Kich wine is very good for body especially kidneys, tendons and bones. Tourists can buy this wine at any restaurant in Halong with a very reasonable price. 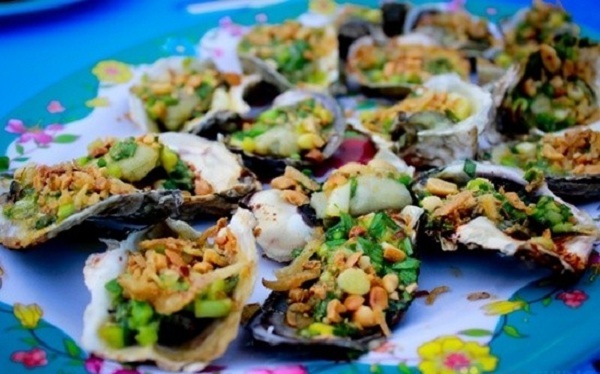 These five dishes above are symbols of Halong cuisine. Please come to this city and do not forget to try them all to feel the taste of the sea and see another aspect of Halong and people living here.